The plan for ICAMS was born during discussions between the Max-Planck-Institute for Iron Research, the Initiative Ruhr-Area (Initiative Ruhrgebiet) and the committee ‚Materials Innovation‘ led by ThyssenKrupp (Impulskreis Werkstoffinnovation). Discussions with potential sponsors, in Fall 2006 the decision is taken that ICAMS will be integrated into the Ruhr-Universität Bochum. March: ICAMS sponsors sign collaboration agreement. May: Potential candidates for the positions of the ICAMS directors are interviewed. February: R. Drautz is the first of the three ICAMS directors to arrive in Bochum. May: A. Hartmaier arrives at ICAMS. June: I.Steinbach arrives at ICAMS. 6. June 2008: opening ceremony. September: First meeting of the ICAMS scientific and industrial advisory board. Benteler Stahl/Rohr GmbH joins the industrial consortium supporting ICAMS. September: First stage of the ICAMS cluster delivered. October: Second meeting of the ICAMS scientific and industrial advisory board. September: First ICAMS Scientific retreat (Attendorn). October: ICAMS‘ masters course ‚Materials Science and Simulation‘ officially started. November: Third meeting of the ICAMS scientific and industrial advisory board. March: First students of the master course arrive. April: A. Hartmaier becomes Managing Director. June: W. Guo and I. Steinbach receive Werner-Köster Award 2010. July: Second ICAMS scientific retreat (Attendorn). December: Fourth meeting of the ICAMS scientific and industrial advisory board. June: ICAMS moves to Universitätsstrasse. August: ICAMS contributes to the „ThyssenKrupp Ideenpark“ in Essen. Aenne Köster and Reza Darvishi Kamachali receive the ThyssenKrupp Innovation Award 2012. 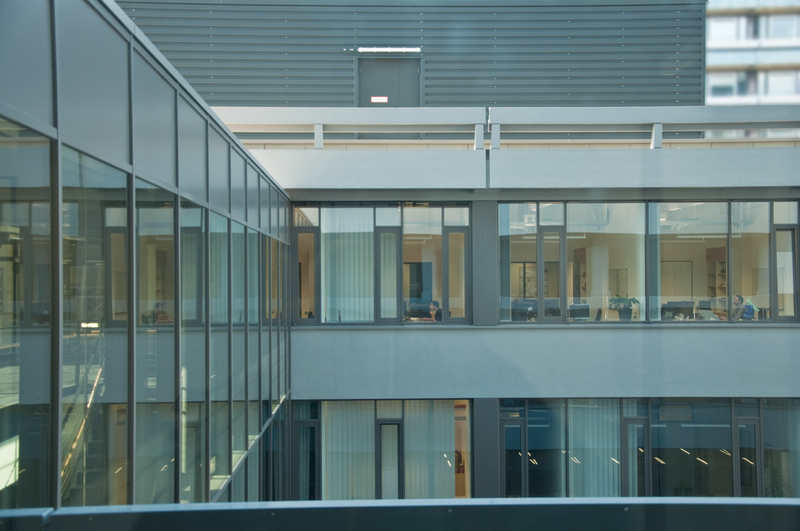 September: Third ICAMS scientific retreat (Münster). March: I. Steinbach becomes Managing Director. 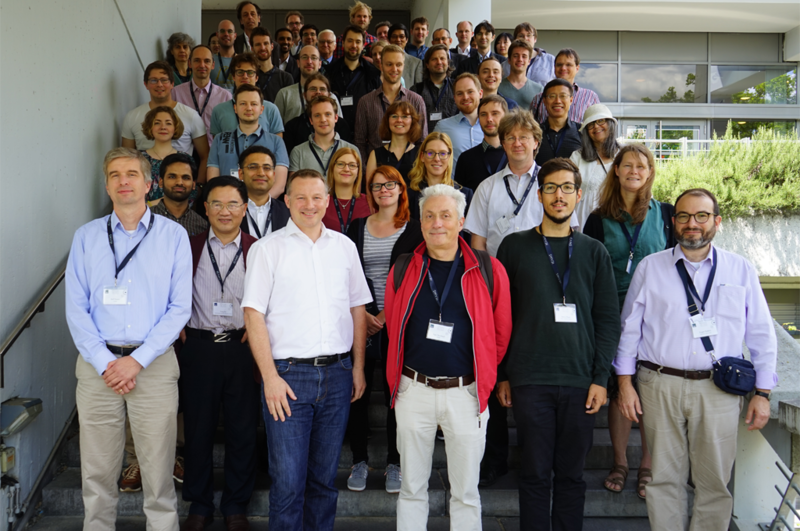 May: ICAMS²: International Colloquium on Advanced Materials Simulation takes place at Bochum. Fifth meeting of the ICAMS scientific and industrial advisory board. September: Fourth ICAMS scientific retreat (Soest). October: ICAMS moves to RUB campus. April: End of start-up period. ICAMS becomes a scientific institution of RUB. June: The Advanced Study Group: Diffusion and Microstructure Analysis (G. Wilde, WWU Münster) joins ICAMS. July: Sixth meeting of the ICAMS scientific advisory board. Dierk Raabe is elected as new chair of the board. March: R. Drautz becomes Managing Director. Fifth ICAMS scientific retreat (Soest). June: Seventh meeting of the ICAMS scientific advisory board. February/March: Sixth ICAMS scientific retreat (Soest). February: Seventh ICAMS scientific retreat (Soest). May: Eighth meeting of the ICAMS scientific advisory board. June: A. Hartmaier becomes Managing Director. May: Eighth ICAMS scientific retreat (Soest). ICAMS professors: The three ICAMS Professors, Alexander Hartmaier, Ralf Drautz and Ingo Steinbach (from left to right). Opening: The ICAMS board of directors and members of the scientific and industrial advisory board during the grand opening of ICAMS. 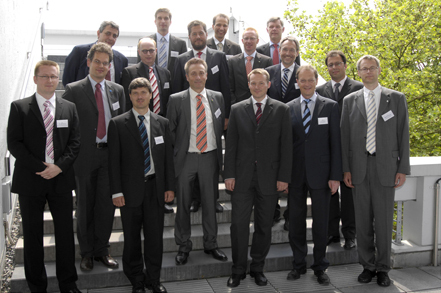 First ICAMS Scientific Retreat: In 2010 the first ICAMS scientific retreat took place in Attendorn in Sauerland. ThyssenKrupp Innovation Award ceremony at Essen. 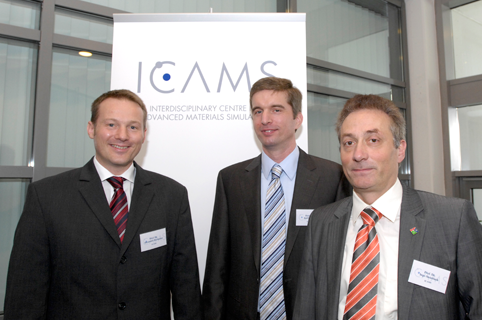 ICAMS²: In May 2013 ICAMS organized the first International Colloquium on Advanced Materials Simulation at Bochum. ICAMS offices at the ICFW building. Participants of the 10 Years ICAMS symposium in June 2018. Watch video on the occasion of our 10th anniversary.